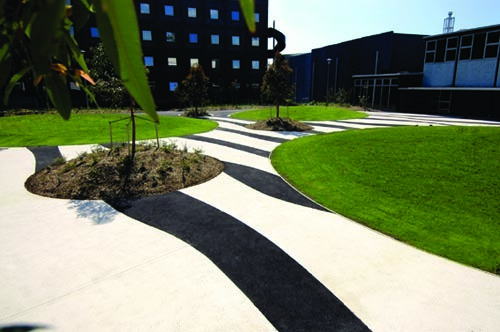 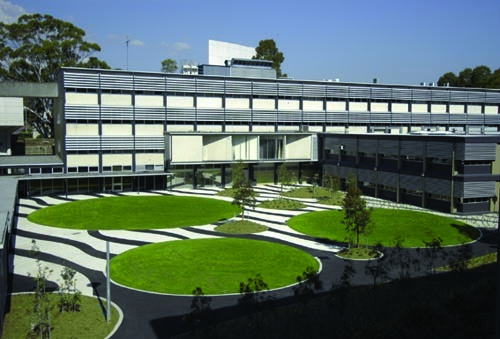 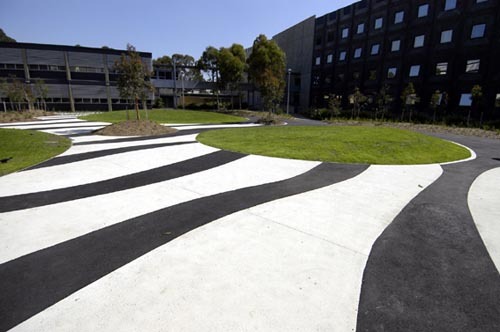 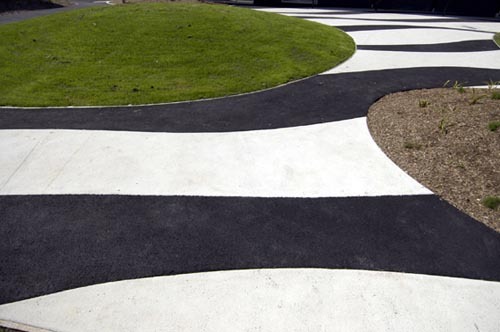 The Phoenix courtyard pattern is generated from a 60’s black and white image by Bridget Riley. 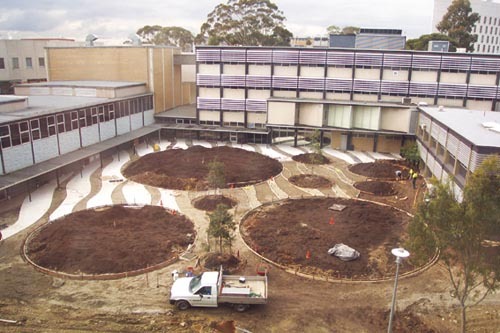 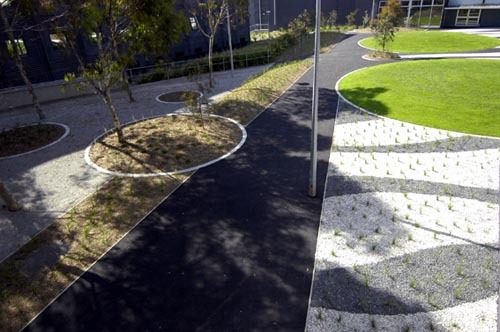 Together with the large tilted grass mounds and bold indigenous planting the design provides a dramatic space that compliments the strong modern architecture and art gallery that border the space. 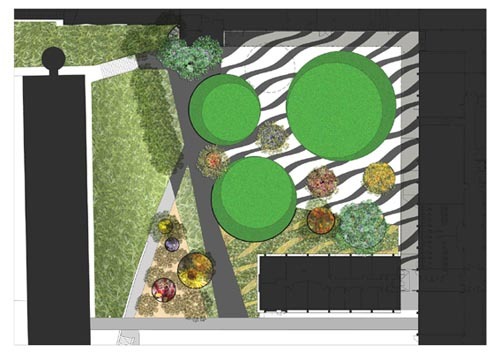 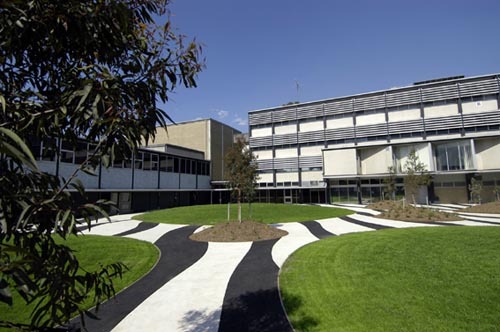 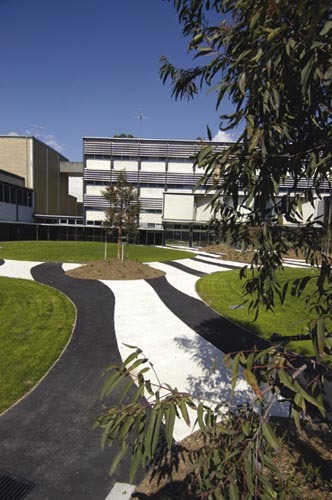 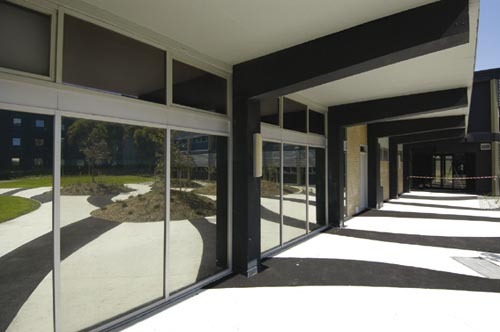 The courtyard is multifunctional and provides seating, a ‘plug in’ kiosk and areas for passive recreation.